Sidney, Ohio – Heating, ventilation, air conditioning and refrigeration (HVACR) contractors looking for plentiful job opportunities, high salaries, available training and large numbers of service calls should head to Ohio or California, according to a list of top states to work in HVACR compiled by Emerson. Ohio tops Emerson’s list with more than 1,400 certified technicians, a competitive median salary, almost 9,000 openings, and eight accredited trade schools. California comes in second overall but tops the list when it comes to number of open positions (22,000), certified technicians, and the highest hourly wages. Emerson lists Illinois as the third-best place to work for the highest median average salaries along with having five accredited trade schools and over 8,000 current openings. 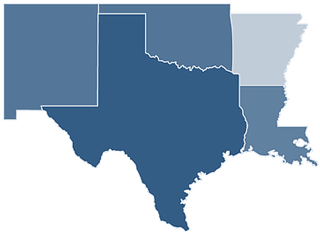 Texas ranks fourth and Florida ranks fifth for their number of openings and certified technicians. The list also names Oklahoma, Colorado and New York to its top 20 highlights for their accredited trade schools, salaries and open positions. 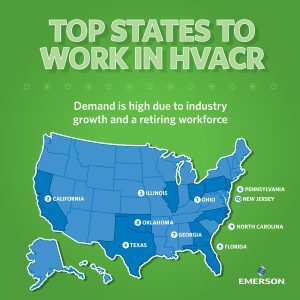 Emerson’s ranking draws on HVACR salary and future employment data from the U.S. department of Labor; trade school locations recognized by the Partnership for Air Conditioning, Heating, Refrigeration Accreditation; heating and cooling degree days calculated at DegreeDays.net; residential home values from Trulia, certified contractors by state from North American Technician Excellence (NATE) and current openings from HVACR Workforce Development Foundation. 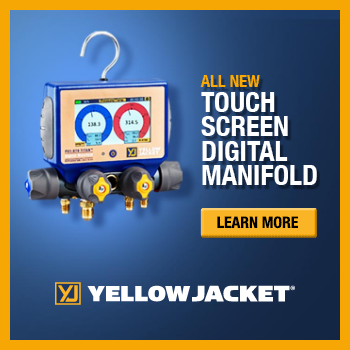 Emerson also draws upon its own data to look at wholesaler locations and commercial service volumes from its ProAct™ Service Center. 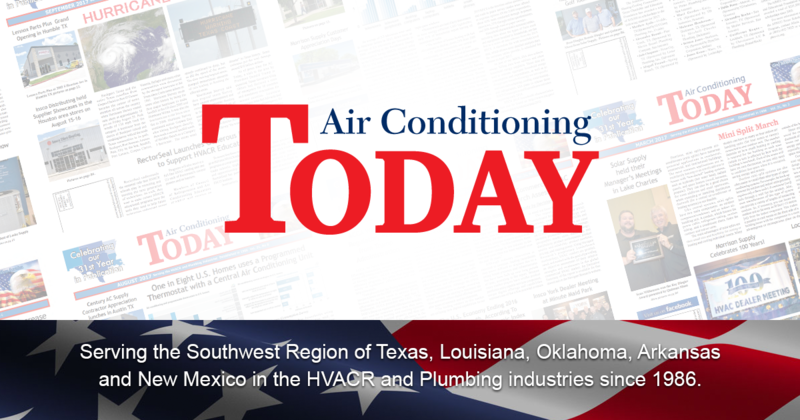 For more information, visit AC-Heating Connect.com.